Purchasing the correct tow bar for your vehicle may not be the easiest thing to do. You need to have prior information about tow bars as well as know all the technical jargon that comes along with it. To make the task an easy buy for our readers, we have listed the things you can do to select the right towing accessory. Follow these simple steps and you will never go wrong with the tow bar you buy. Firstly, identify the Aggregate Trailer Mass (ATM) of your caravan. The ATM is the total mass of the van and whatever is added as payload, for example water, fuel, food and luggage. The ATM is specified by your caravan’s manufacturer. Identify the tow ball weight of your fully loaded caravan, which is the weight on the back of your car or on the jockey wheel if the caravan is uncoupled. The tow ball weight is generally around 10 per cent of the ATM. However, an accurate measurement is recommended – take your vehicle and caravan to your district’s nearest weigh-bridge. Once you’ve figured out your caravan’s ATM and tow ball weight, have a browse of your favourite tow bar manufacturer and use these figures to analyse which options will suit your vehicle best. Make sure to search for ratings for any tow bar you consider as well. Browsing and participating in car and caravan enthusiast forums may help with coming to an educated decision as well. 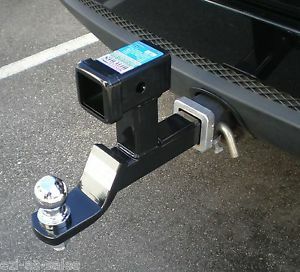 Once you’ve decided on a tow bar, you may also need to consider purchasing a hitch receiver to accommodate your caravan. If the tow ball weight exceeds 125kg, it is recommended that you fit a hitch receiver, which will allow the use of a heavy-duty weight-distributing hitch. Place the scales and the brick/paver 90cm apart. Place a piece of pipe on top of both of the scales and the brick, then rest the plank across them. Multiply the scale reading by 3 to get the correct caravan tow ball weight. The tow ball weight is a good indicator of the kind of hitch you should buy for towing the trailer. The right tow bar will allow your automobile to pull the attached trailer without exerting maximum effort. This prevents breakdown of the vehicle’s mechanical parts.